Ep 233: How to Be a Better Writer + My New Book Is Out! Pat celebrates the launch of his new book How to Be Better at (Almost) Everything by sharing his very best writing tips. Pat shares his history of anxiety and what he's done to overcome. Because of popular demand, Pat shares some of the details of the 90 day challenge he's currently taking part in. 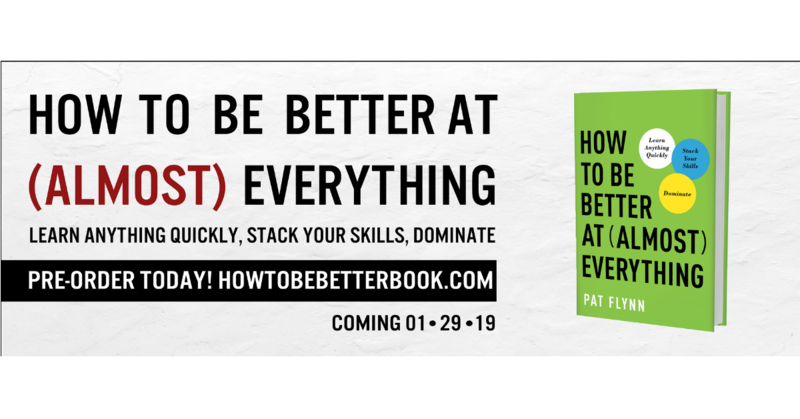 Exciting News: Pat's book How to Get Better at (Almost) Everything hits the shelves in just over a week. But we could use some help getting the word out. Think you can assist?